implied that Maribe’s son is Omondi’s though the comedian has denied the allegations. 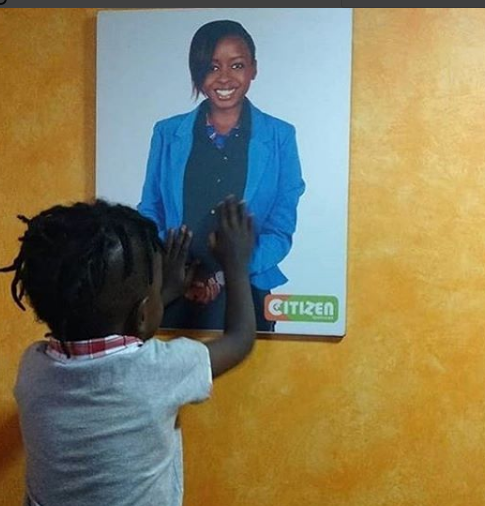 After Maribe was sent to Langata Women Prison, Omondi posted a photo of her son on social media to show support. Kenyans ended up attacking her, asking why he dumped her in the first place. “Time to stand up for your son. Time to man up and be that pillar while she goes through this season. Omondi recently confessed he’s not the father of the kid but knows the dad. Recently, after being approached for comment on the issue, Omondi was dodgy and didn’t want to say much. “I don’t want to speak about Jacque Maribe. I am in Bungoma for a stadium tour.” he said. “Story ya kuoana (On that story of getting married). Call me after one minute.” said Omondi after being asked whether he’ll marry her.